The ITUC is the world’s peak labour union body and has grown to represent 181 million workers in 162 countries and territories with 340 national affiliates. 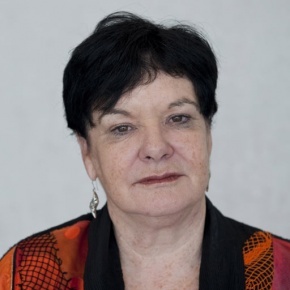 She has represented workers and civil society groups in global policy discussions in United Nations bodies, including ECOSOC , on the Governing Body of the International Labour Organisation as well as at the G20, World Bank and International Monetary Fund. Sharan is one of the B Team leaders, a commissioner on the Global Commission on Business and Sustainable Development and the New Climate Economy Global Commission on the Economy and Climate. In 2015 she was a Co-Chair of the World Economic Forum Annual Meeting in Davos. The ITUC is a supporter of the UN Principles for Responsible Investment (UN PRI). Under Sharan's leadership the ITUC's Workers’ Capital Committee has been strengthened. More than US$ 13 trillion of retirement funds are under joint trustee management and the ITUC and its affiliates are active in both trustee education, corporate governance and shareholder activism.